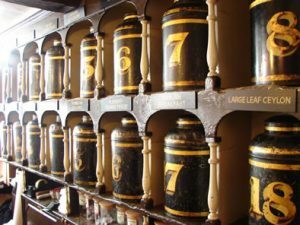 Based in Kendal, Farrers was established in 1819 and is one of the oldest independent blenders and roasters of fine teas and coffees. Farrers supplies us with our fair trade coffee beans and tea, and together with our state of the art coffee roasting plant, we guarantee consistency and quality of every blend. Our artisan coffees are roasted in small batches and packed in foil bags to ensure the coffee you receive will always be both delicious and fresh.